Craving a vay-cay but your bank balance is not having a bar of it? We’d all love to be sunning ourselves with the rich and famous in the Hamptons, but until we can afford the jitney we’ve got our own little slice of paradise in Hendra. New kid on the block The Hamptons is turning heads with its beautiful, insta-worthy space and jaw-dropping menu. 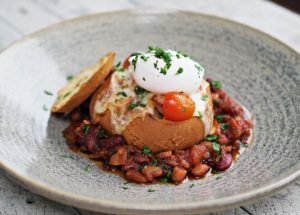 From the team that brought us Chapter IV and Phat Elephant – this little café is becoming a strong contender for our new brunch spot. From cheeky catch ups with friends or brunch events in the sunny courtyard, The Hamptons has a table waiting for you. The all-day breakfast menu is laden with unique options like blue spanner crab scrambled egg with chili and coriander or fluffy matcha pancakes. Bready to get adventurous? Roll out of bed and into Breakfast in Bread with sausage, maple cured bacon, veggie and mozzarella in a Japanese milk bun in a bed of house-made bourbon baked beans, topped with a poached egg. Meeting for lunch? Mussel in on Thai green curry spaghetti with mussel and tiger prawns or get stuck into saffron wild mushroom tempura salad with organic matcha soba noodles. 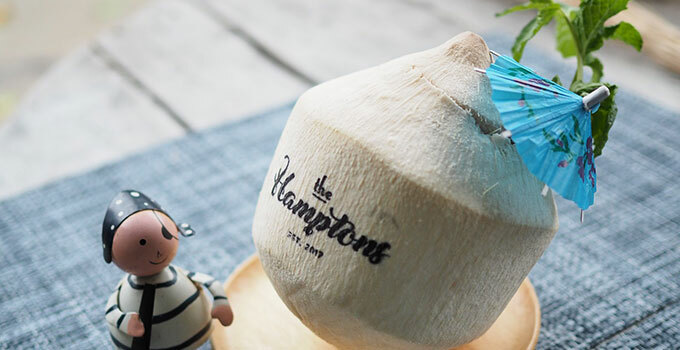 So, don your best white linen and pack your sunhat – it’s time to hit up the Hamptons. - the gourmand who spent her airfare on smashed avo.